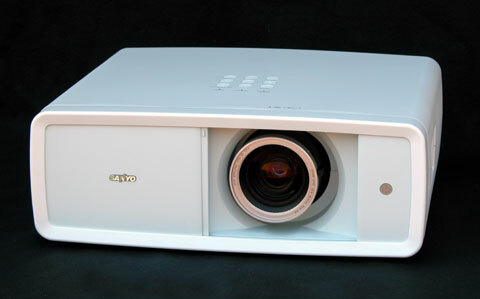 Dear Sir: A great review of the Sanyo PLV-2000 and its comparison with the Panny pt-ae2000. In your review you state, "The Z trumps the AE in SD that was upscaled from Blu-ray & HD DVD players." Does this statement imply that the DVD players were performing the upscaling, or were the projectors doing the processing? If a DVD player, having great upscaling qualities, were performing the processing, would this bring the AE2000 up to speed? Would the Panny SD picture be as clear as that of the SanyoZ? I enjoy film noir and other genres from the 30s, 40s and 50s and wish to view these film at their best, minimum grain without softening the picture. I just bought a z2000 and it stopped working on the third day. Looks like several folks on the AVS forum have had the same exact problem. Basically, the unit powers off, the door shuts 90% of the way, and the warning light of death comes on. I have plugged out the unit to no avail and I will have to deal with Sanyo support on Monday. I JUST got this thing. Not good. Been enjoying this pj for almost a year and the other day it fro-zed up on me and from 4-29-09 to 5-1-09 Sanyo repaired it by upgrading software to the latest version of V102! All shipping and repairs covered under warr. Not bad for a 3 day turn around just in time for the weekend.... Great pj...Great Service... Everything working like the day I bought it! Got this projector the day it came out. 5000 hours and counting, still works flawlessly. Like my last two Sanyos (Z2 and Z3), the blue polarizer is dying around 5,500 hours, despite the fact that the filters are cleaned like clockwork. Fortunately, it's still under warranty for the next 3 months, but it's disconcerting that this is my third Sanyo to have this issue. I'm sure they'll fix it under warranty, but I think my next projector will be an Epson instead. My blue polarizer also burned out after a year and a half. When I sent it in for warranty though, they refused to fix it and sent it back. A printed sheet that accompanied said it was "not economical to repair". I've bought an Epson, and it is a real improvement in quality, brightness and contrast. I have had the Z2000 for 3-4 years now, the lamp needed replacing I sent the machine back and it was a faulty bulb and replaced under warranty. The lamp has gone again only 12-15 month after being replaced. I was told when the first lamp went that the warranty which was from 3 years would cover this lamp for 3 years from the date it was replaced, as this was the promotion when I originally bought the machine, however, I am now being told 3 month or 1000 hours. Can someone help me. The other thing they are throwing at me is that Sanyo have been bought out by Panasonic and Panasonic wont cover the 3 year deal. I have a faint yellow spot on my screen about a 2ft. round or somewhat oval, screen size projection is about 120 inch's, can someone plz tell me if thats a burn spot on the bulb or lens or what it can be and what I can do to correct this. the projector I have is a sanyo plvz 5 and is on it's second bulb and has plenty of hours left. I bought this projector in 2007 when it first came out. I have had absolutely zero problems with it whatsoever. Even still have the original bulp in it with 4000+ hours! I have had good times with this. Be sure to get original lamps, as I tried 2 non originals that were crap. Now almost 8 years with this and 2 lamps done, getting definitely the 3rd lamp, and making sure it is original by asking the dealer. I bought mine used on ebay in January 2010 for $1,100 and after changing the original bulb @ 2114 hours is working fine as of March 2019. I like the zoom lens (throwing a 72" picture @ 12 feet) and lens shift.